Scout Tafoya's series on overlooked or under appreciated films continues with screenwriter John Patrick Shanley's debut feature, a comedy starring Tom Hanks as a put-upon factory worker and Meg Ryan in three roles as three different muses. La Luna available via VOD on YouTube. The traditional end-of-the-year list-making craze is bound to dominate the Internet for the entire month of December (as well as stir many a Twitter feud). It's hardly a stretch to foresee that most of the upcoming Top 10 lists will be dominated by three movies featuring remarkable kids. Benh Zeitlin's "Beasts of the Southern Wild", Wes Anderson's "Moonrise Kingdom" and the Dardenne brothers' "The Kid with a Bike" all featured children as characters whose temperament, imagination and sheer physical energy couldn't be contained by the (very different) worlds which they happened to inhabit. 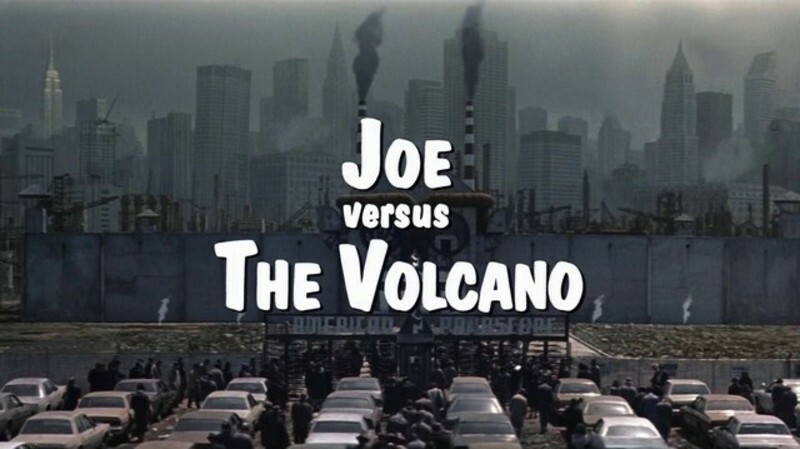 APRIL 25, 2008--Every year I keep meaning to include "Joe vs. the Volcano" in Ebertfest, and every year something else squeezes it out, some film more urgently requiring our immediate attention, you see. The 1990 John Patrick Shanley film, starring Tom Hanks and Meg Ryan, was about a wage slave in a factory where dark clouds lower o'er the sky; he is told he has a Brain Cloud, with only five months to live. How this leaves him to become a candidate for human sacrifice in the South Seas follows a long and winding road, in a film that was a failure in every possible way except that I loved it.